Guys, this article is for you. Unless you’ve decided you will both pick the ring. 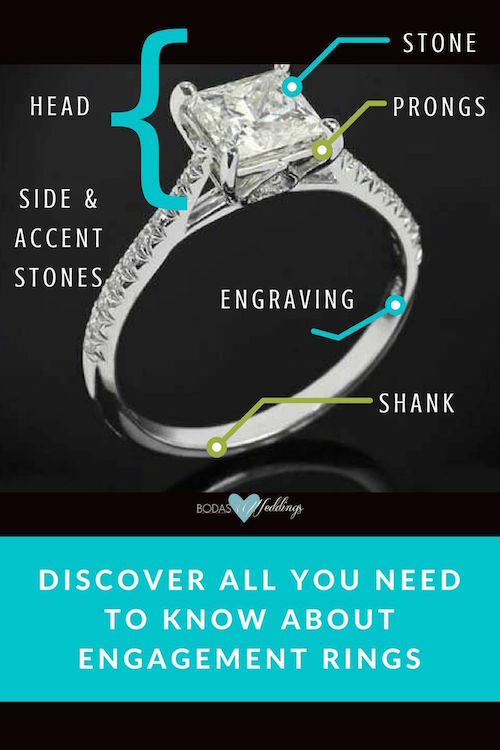 Then this engagement ring guide is for her too. We’ll cover how to pick a ring that fits her style, the anatomy of an engagement ring and a few tips to get the best value for your buck! 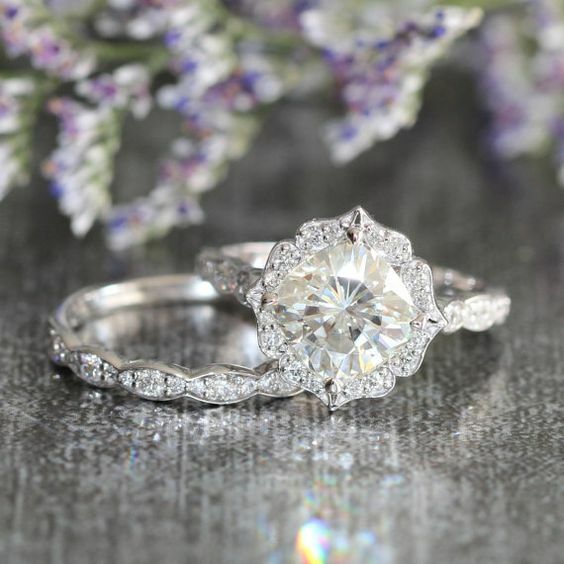 Spectacular halo engagement rings… not just beautiful… they look larger at a lower cost by Reverie. Who invented the engagement ring, anyways? It is believed that the tradition started in ancient Rome where wives wore rings attached to small keys, indicating they had a husband. Many centuries later, the Archduke Maximillian of Austria gave the first diamond engagement ring to his fiancée, Mary of Burgundy. Back in 1930, an ad campaign by De Beers, made the diamond engagement ring a wedding tradition. Nowadays, three-quarters of American brides wear a diamond engagement ring, which now costs an average of $4,000. But fear not! On this engagement ring guide we will share some tips to help you stay within budget and still knock her socks off! What type of engagement ring suits her best? This doesn’t need to be a guessing game and even though there are no surefire rules for this, the following guidelines will help you pick a ring she will say yes to! Define your diamond engagement ring style with this engagement ring guide. 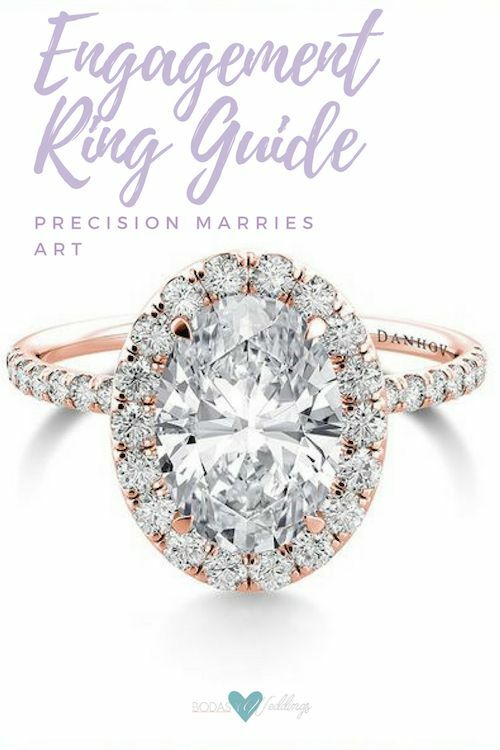 Now, let’s tackle the 3 not-so-simple steps (as you will discover on this engagement ring guide) to create your engagement ring: Choose your diamond, choose your setting & complete your ring! We’ve got something special in store for you today! 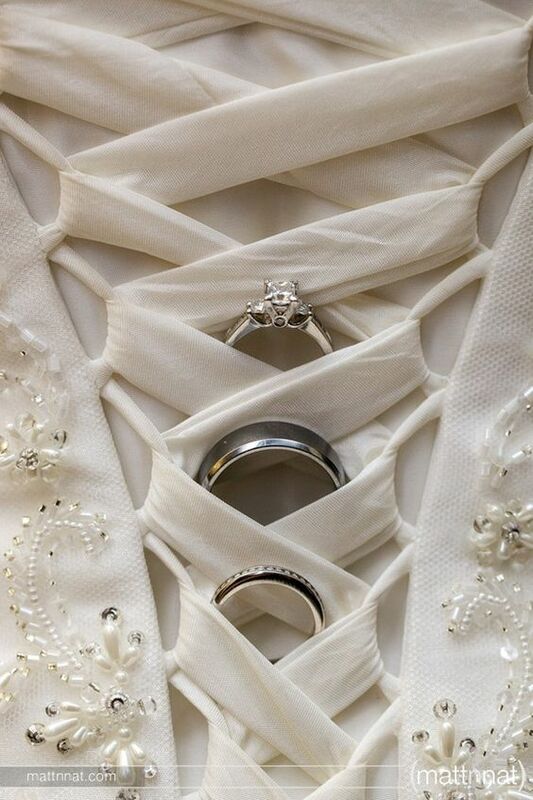 There seem to be a billion different kinds of engagement rings – all with different qualities, different advantages and, yes, different price tags. Trying to shuffle through them is quite confusing – but it doesn’t have to be. Handcrafted in California over a period of up to 20 hours, each Danhov engagement ring marries precision with art. Greenwich St. Jewelers. We put together this engagement ring guide, so you’ll end up with the diamond ring of your dreams! Besides, the more you learn, the harder it will be for anyone to swindle you when purchasing your diamond engagement ring online or offline. Are you ready? Great! The ring has two main parts and the jewelers will probably refer to them quite often. These are the center stone and the setting. 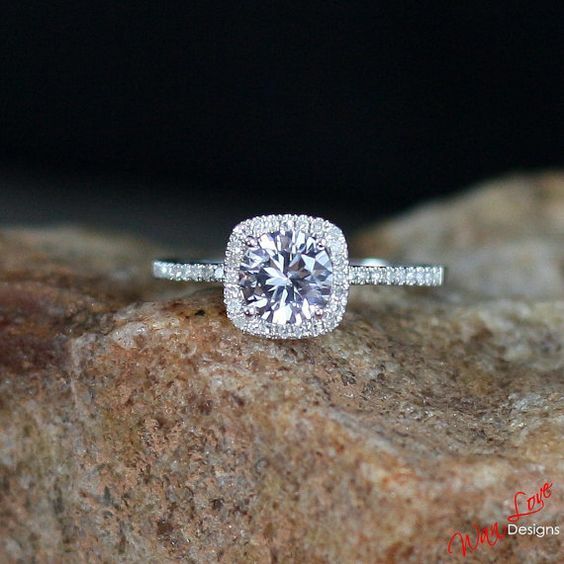 The center stone or simply the stone goes on top and is mounted on the setting, which is the rest of the ring and includes the filigree accents, side stones, engagement ring engraving, or other work along the band, such as a stunning pave setting. 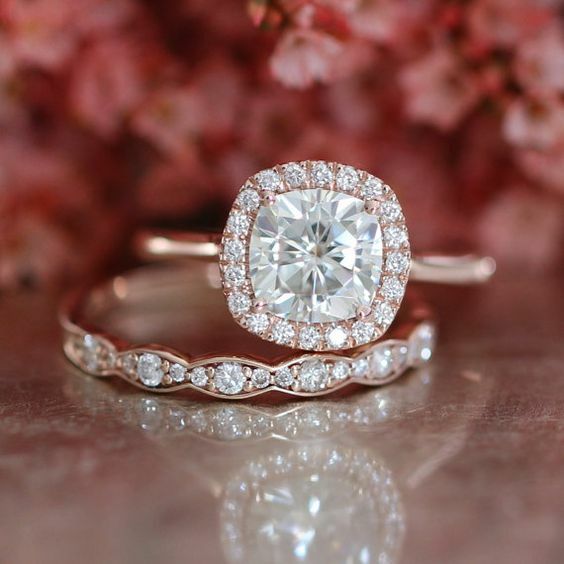 Discover all you need to know about engagement rings on this engagement ring guide! We can also divide the ring into two other pieces. The head, which is the most obvious part because it encompasses the jewel or stone, the side stones and the prongs where the main stone is encased. And the second part, that is the shank or the band itself. Each one of these parts and its components can be customized and the shank can even be filigreed and engraved (which is done inside the shank usually) to achieve a most unique look. 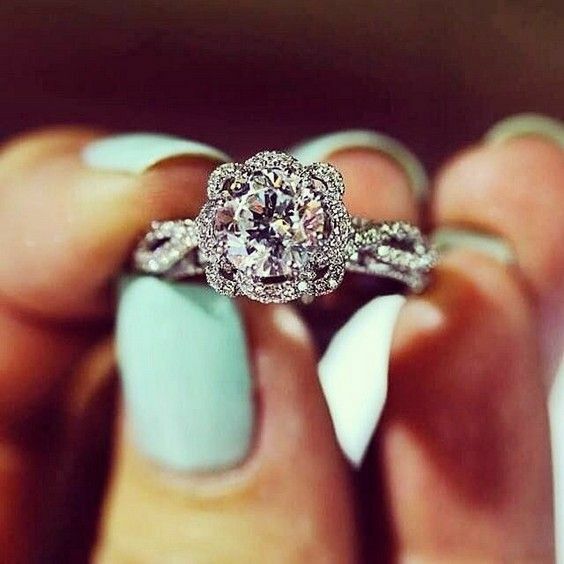 Whether it’s choosing the setting of the center stone (6 prongs? 4? Bar set?) 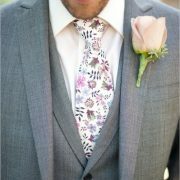 or the style of the shank itself (Traditional? Euro-style? Criss-cross?). You can also choose various other features to embellish the ring, by maybe adding a surprise diamond on the band itself, or adorning it with patterns engravings or rope. Elegant and affordable 2.50 CT round cut halo engagement ring. Get it here! Sometimes the shape and the cut of the stone is just as important as the type of gem itself. And even though the traditional engagement ring carries a diamond, mossianite, sapphires, and other precious gemstones are really in fashion. The gemstone cuts vary from brilliant cut, emerald cut, round cut, square cut, triangle cut, rose cut, baguette cut, trilliant or trillion cut, marquise cut, heart cut, gemstone cut cabochon, octagon cut, cushion cut, oval cut, princess cut, radiant cut and briolette cut. Let’s take a look at a few of these to discover the difference. Gorgeous 1ct. Forever One Moissanite surrounded by diamonds Halo engagement ring with round cut center gem. Certificate of Authenticity Ships worldwide from Atlanta, GA. Round cut also known as “brilliant cut” because its shape maximizes the amount of light return from the top of the gemstone. The better quality diamonds will look even better on top of elevated prongs as they will showcase even more light. If the diamond has imperfections or inclusions, you’ll be better off with a metal setting to cover them up. The Princess cut is the second most popular shape. For those who prefer square to round shapes and designed for maximum brilliance. Make sure the setting protects the pointed corners. Pear shaped Moissanite engagement ring with pave diamonds in 14K white gold. The Radiant cut is a square or rectangular cut with cropped, round corners combines the elegance of the emerald shape gem with the brilliance of the round, and its 70 facets maximize the effect of its color refraction. It creates a non-traditional yet still brilliant gemstone. 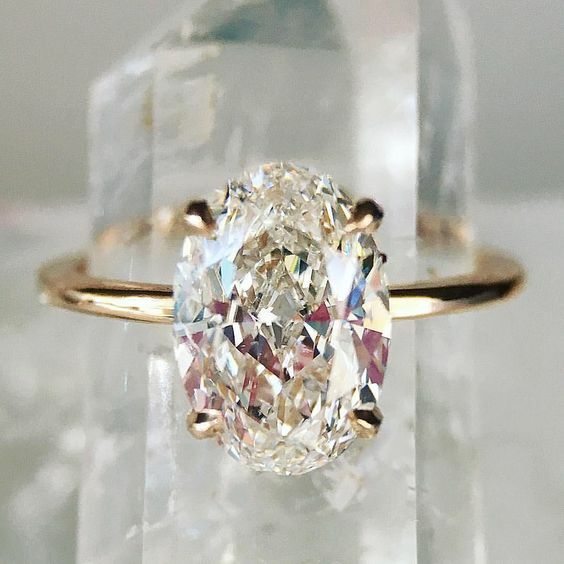 Cushion cut, also known as “pillow-cut”, is an antique style of cut that looks like a cross between an Old Mine Cut (a deep cut with large facets) and a modern oval cut very romantic looking. Princess cut engagement ring with 3 views of the classic tapered diamond pave setting by Vatche for Whiteflash. The Heart cut is the most romantic of all the shapes and it’s best set on a Bezel or 3-prong setting. The oval cut is an even, perfectly symmetrical elongated shape design popular among women with small hands or short fingers. Its gives a flattering illusion of length to the hand. Fine vine oval cut engagement ring with white sapphire and diamonds. Get it here! This bridal wedding ring set showcases a 7x7mm cushion cut Certified Charles & Colvard forever brilliant moissanite engagement ring set in a solid 14k rose gold halo diamond ring setting. To complete the gorgeous look, a gorgeous scalloped diamond wedding band is created to be paired with this stunning moissanite ring! Here! The emerald cut, named as such because it originally was only used on emerald stones, is known for its sleek, elegant and sophisticated long and precise lines. 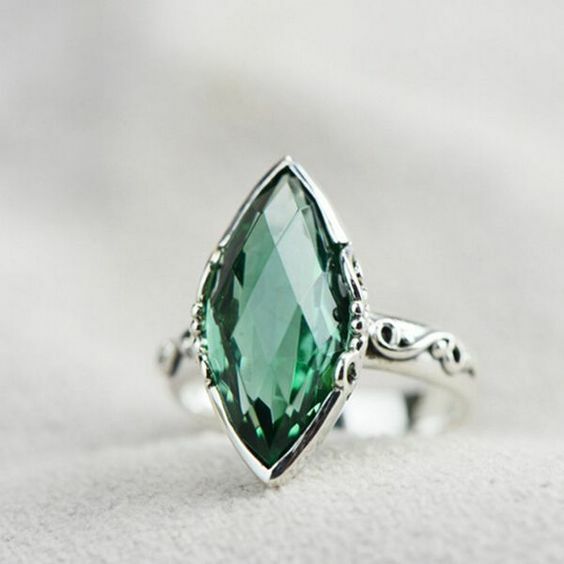 You can use it surrounded by accompanying stones as Halo, or as a baguette with two emerald shaped side stones or as a magnificent solitaire. A classic shape for diamond engagement rings is the Marquise cut. With a long, narrow surface that resembles a boat it gives the illusion of a greater size. The Asscher shape must be reserved for absolutely perfect stones (especially diamonds that must be flawless) as any imperfection of inclusion will be obvious to the naked eye. 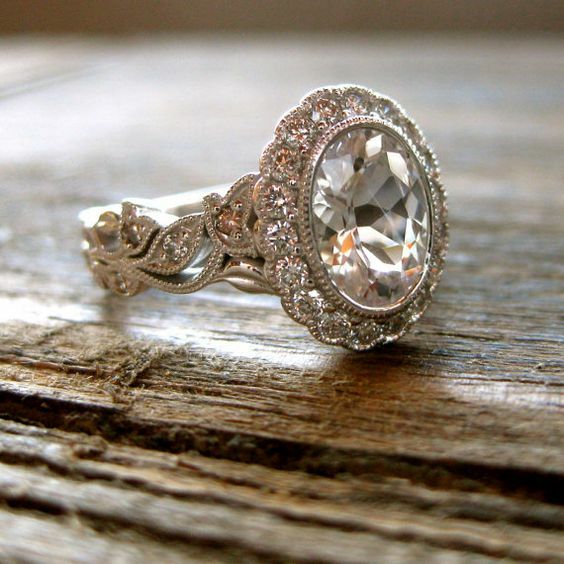 This shape is perfect for vintage-style brides that love square-cut gemstones. 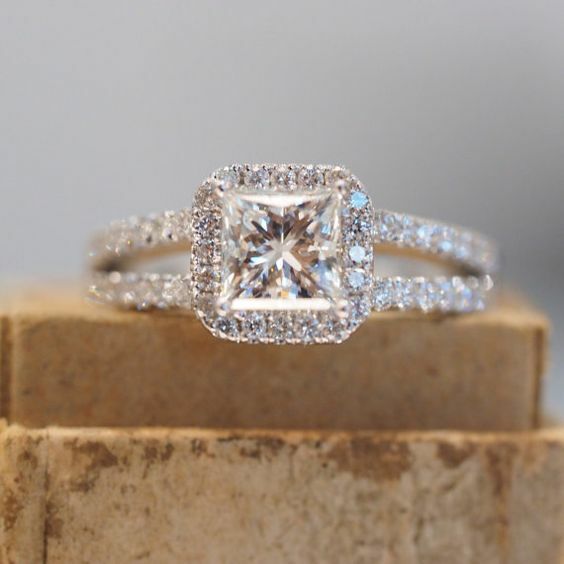 Recommendation: Go either Halo or solitaire with the Asscher shape. 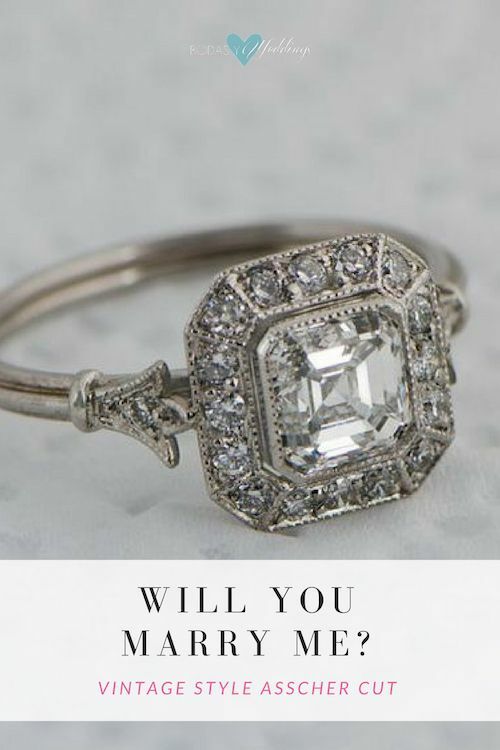 Beautiful vintage style Asscher diamond ring. It is surrounded by sixteen brilliant diamonds. A fleur-de-lis design and triple wire shank add to the delicacy of this ring. The ring has a GIA certification. Trillion cut is a spectacular slice of brittle fire. The exact design can vary depending on a particular gem’s natural characteristics and the cutter’s personal preferences. It may be a traditional triangular shape with pointed corners or a more rounded triangular shape with a polished girdle. It is definitely for the adventurous. As if this weren’t enough choices to personalize your engagement ring, it’s time to pick what the band around her finger will look like. We will go over the shank, the side gemstones, the accent stones and the embellishments! 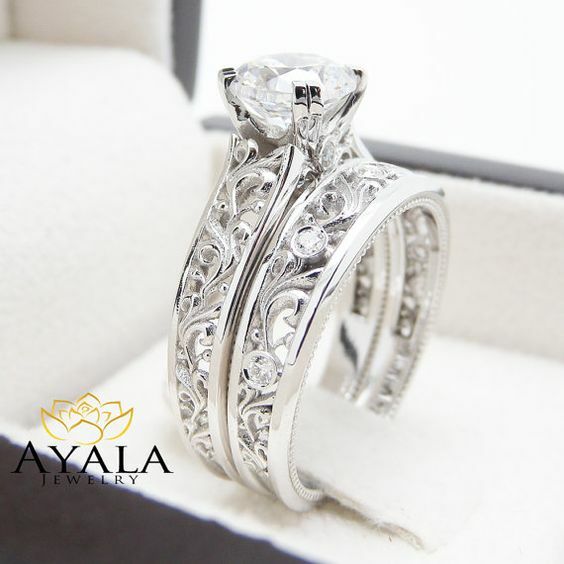 A unique diamond sits atop in breathtaking detail. This art deco bridal ring set also includes a diamond encrusted wedding band that fits within the design for a seamless look when worn. 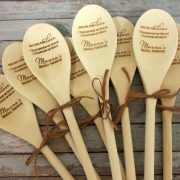 We have a few choices for the shank. The ring itself can be fully round or traditional, with more weight on the base or euro-style, or elevated on top or cathedral style. When looking at the ring from above, we can have a straight, tapered (wider as it gets closer to the stone) or reverse tapered shank. Finally, the shank can also be split (looking at it from the top, the band splits in two parallel lines), bypass (it looks like it’s hugging the center stone), tension (love this one because the stone looks like it’s floating between the two ends of the band), or criss-cross. 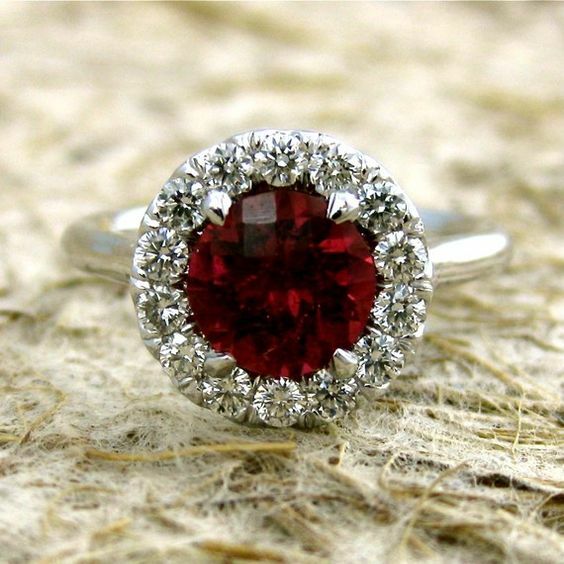 Scarlet red garnet with diamonds in a classically styled, elegant engagement ring. Here! 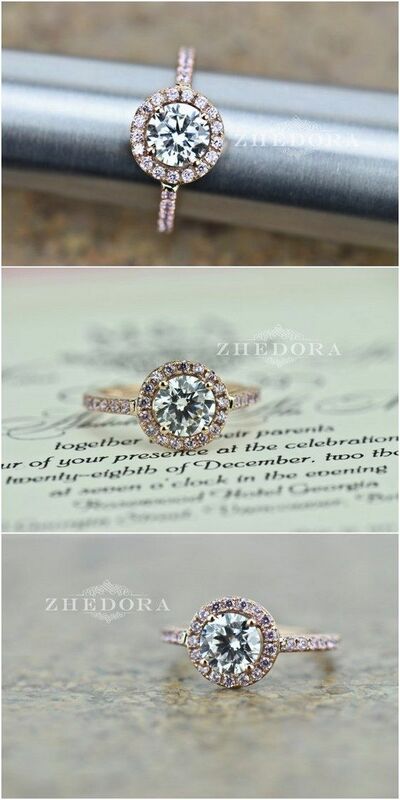 Champagne sapphire engagement ring 14k by EidelPrecious. I love side gemstones! They provide an economical way to add more gemstone surface area across the finger than putting the same dollars into the center stone. Nice trick, huh? The color of the side stones should be within one color grade of the center stone. This also allows for saving a few bucks as lower color grades are always cheaper than clearer diamonds. The following gemstone shapes are used primarily as matched side gems for rings. Step cut straight baguettes, tapered baguettes, straight baguettes step cut, trapezoids, half moons, step cut bullets, kite shapes and tapered bullets. One more addition to the shank that makes it look even more stunning are the accent stones. They are set alongside the band in different ways. Some are packed tighter together like the pavé, channel, surface and shared prong and some are set a bit further apart or separated by metal like the bezel, the bar and the gypsy flush. This bridal wedding ring set showcases a floral engagement ring with a cushion cut set in a solid white gold scalloped diamond band. Check it out here! Engagement ring guide: The Anatomy Of An Engagement Ring. Princess cut diamond engagement ring. 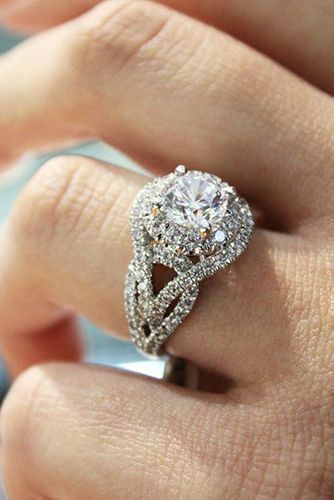 Swooning over this ring, Ask her to marry you with this stunning pave, halo, diamond engagement ring! 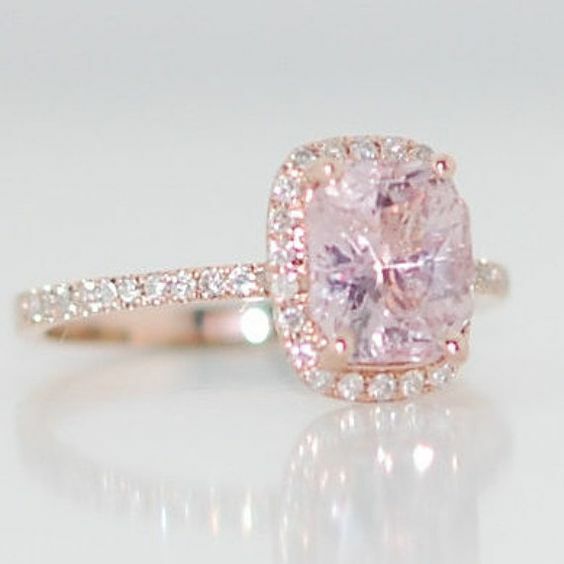 Brilliant Moissanite ring in rose gold. Ooops! We are not done yet! This engagement ring guide would not be complete if we failed to mention the embellishments. 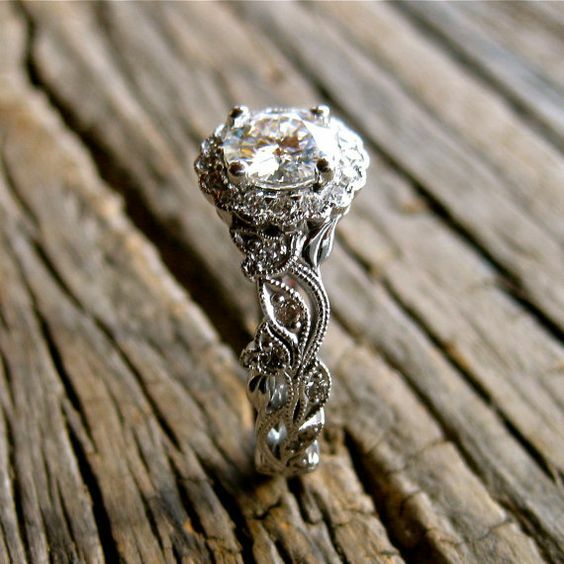 If you want to add more uniqueness and fancy to the ring think about engraving it, or adding a filigree, piercing it or even a surprise diamond – that is a smaller stone on the side of the shank. Now that you have an idea of all the shapes and sizes, it’s time to decide what color you want your diamond to be. 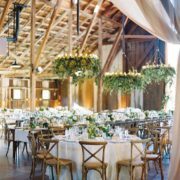 Options range from colorless, nearly colorless, faint color, to very light yellow, light yellow, and fancy yellow. For engagement rings, it’s better to stay with the colorless or nearly colorless diamond categories as is tradition. Or you can go with the latest craze on engagement rings and choose a sapphire or a different gemstone surrounded with diamonds. More important than the carat, the clarity speaks about a diamond’s quality. The less inclusions or impurities, the more flawless the stone. Imperfections are natural in diamonds but they will reduce their bling level. 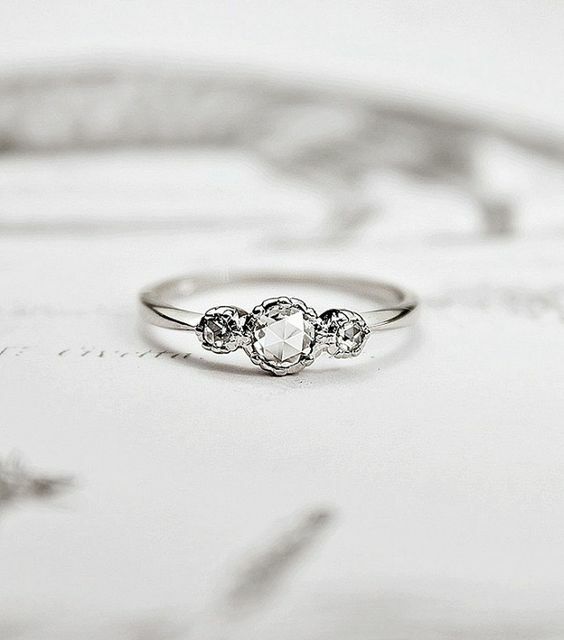 Simple engagement rings for girls who love classics. Discover how to pick an engagement ring that fits her style. Finally, the Carat is the next on the list of choices! 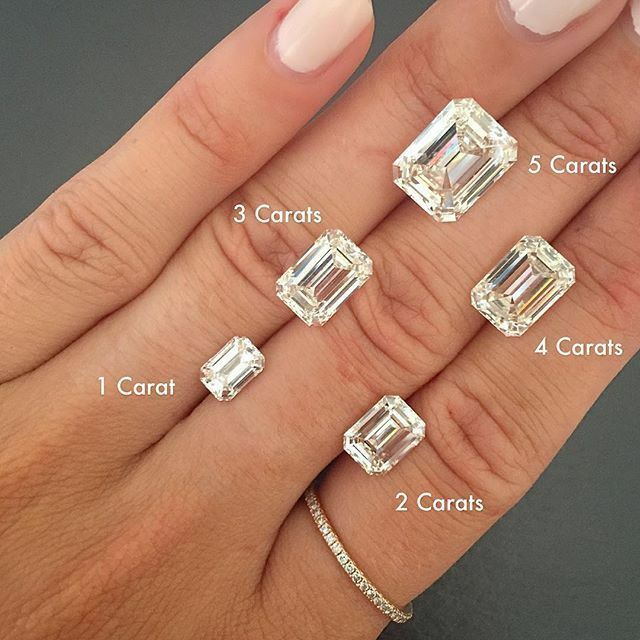 Basically, the carat refers to the overall size of the stone. Congratulations… You’ve just assembled your ideal wedding ring and we are ready to dig into the last part of this engagement ring guide. Handmade engagement ring with diamonds in flower buds and leafs on vine motif. Check it out! Stunning feminine and romantic! 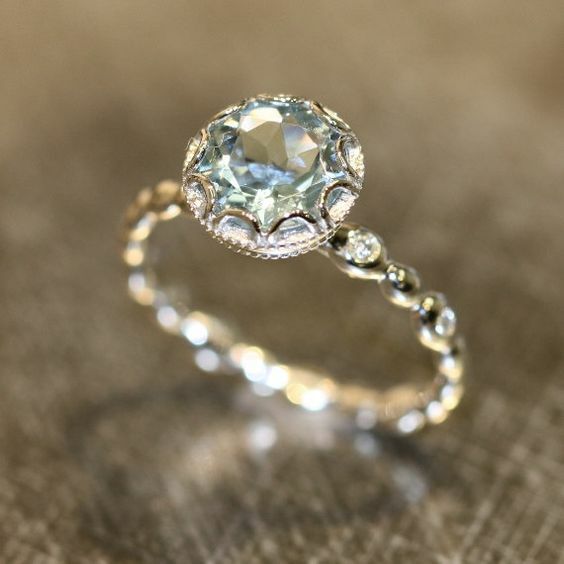 This aquamarine ring is crafted in white gold with a round shaped aquamarine set into a gorgeous floral basket setting on top of a diamond pebble band. Breathtakingly elegant and beautiful. Here! Engagement ring guide. Diamond size comparison. 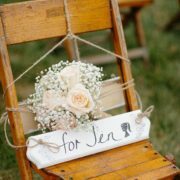 The last part of this engagement ring guide is dedicated to provide you a few tips to save on your engagement ring purchase. Buy your ring during the summer months. Most people buy their engagement rings in fall, winter and even during the spring. But as most people are busy getting married during the summer months, engagement ring sales drop and you can find yourself some pretty sweet deals. 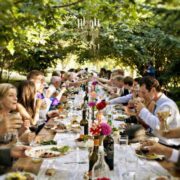 Basically, we can add this as another advantage to getting married in the winter or to longer engagements if you are still set on getting married in the summer! 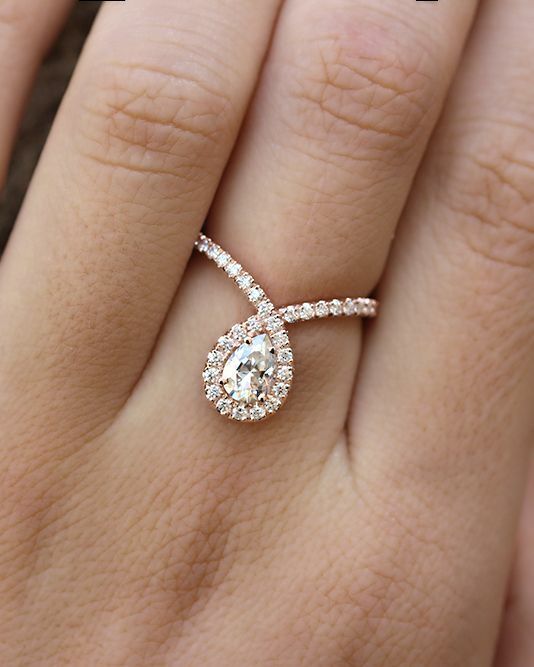 What’s trending on engagement rings that makes them cheaper and more original? 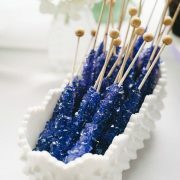 Sapphires, of course! Feel free to surround it with accent diamonds like on the Halo ring and go for an even more unique gemstone. Princess cut Halo engagement ring with split shank in white gold with micropave diamonds. Avoid round numbers in carats and save a lot of money. Most people will not notice if it’s a 1.95 carat or a 2.00 carat ring. Another tip to save on your engagement ring. Adding side stones. It will make the ring look larger at a much lower price. Check out the paragraph where we talk about side stones and their options. Play with clarity and color. There are some settings where clarity is paramount but other settings allow for a slightly included diamond. It will cost less than one with top-notch clarity—but the difference is hardly visible to the eye. The same goes for color, as it is very difficult to tell between a G or an F color and the G will cost you much less. How about the metal the ring is made from? If you don’t mind going for a 14K gold ring, you will save money versus an 18K gold ring. Rose gold is gorgeous and an alloy of gold and copper, making rose gold more affordable. This is a bonus for your wallet if you happen to be on a budget. People think that a custom ring will cost them way more, but there are some great deals out there. Why go with a major brand name and a mass-produced ring? Make your ring a one of a kind just like your love. 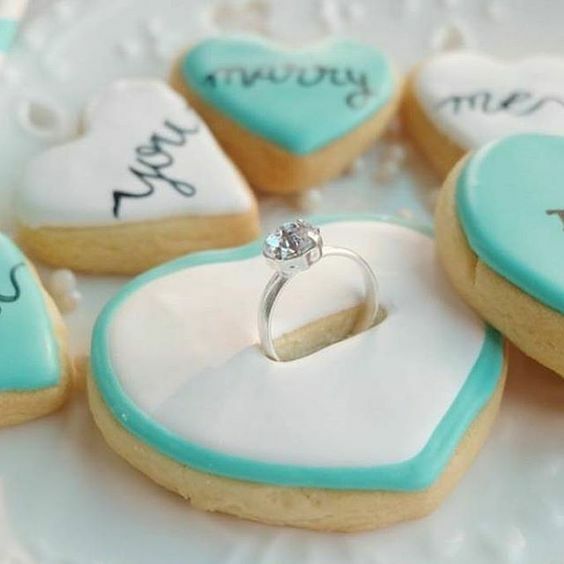 Who wouldn’t say yes to this heart-shaped cookie proposal? 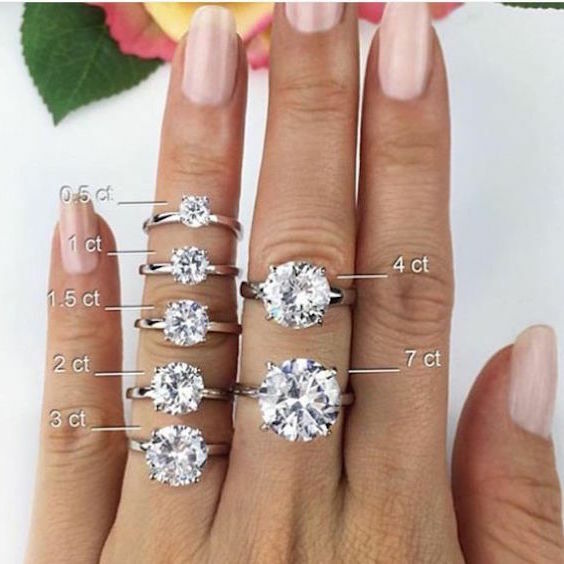 Engagement ring guide: Diamond size comparison. 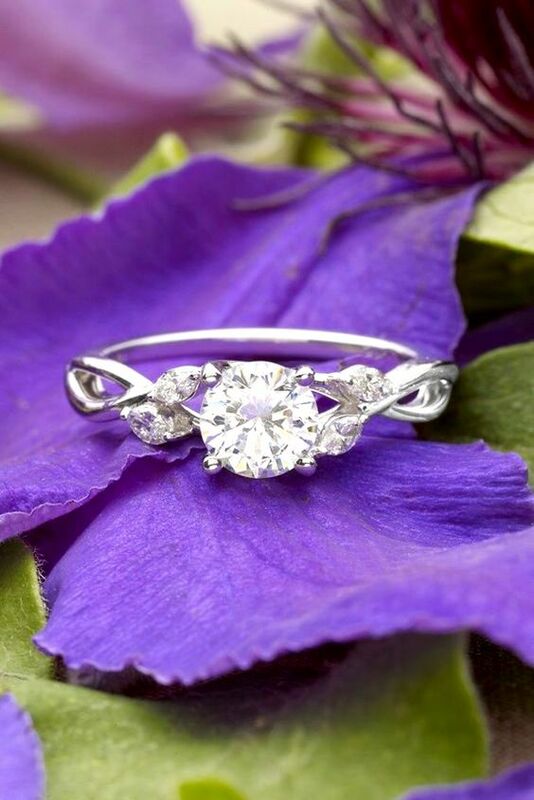 Oval engagement ring with a four prong setting and 14K gold band. Tempted? 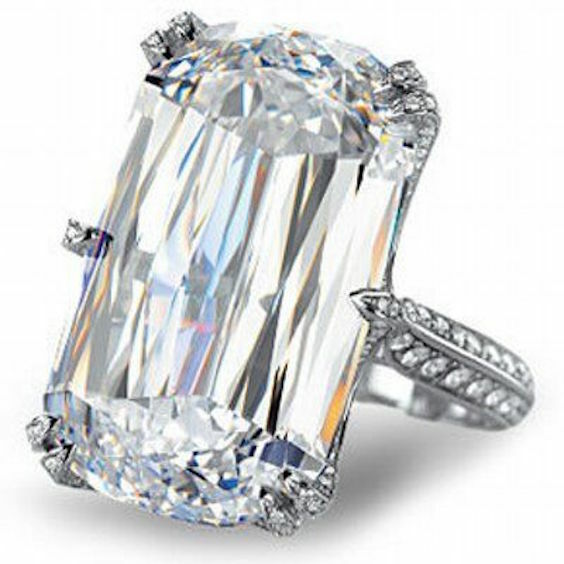 A rare 7 million diamond ring with en emerald cut. Follow this engagement ring guide for advice! Twisted engagement rings are all the rage in 2017. 1ct brilliant Moissanite engagement ring set by LaMoreDesign. The engagement ring guide to diamond or center stone shapes. 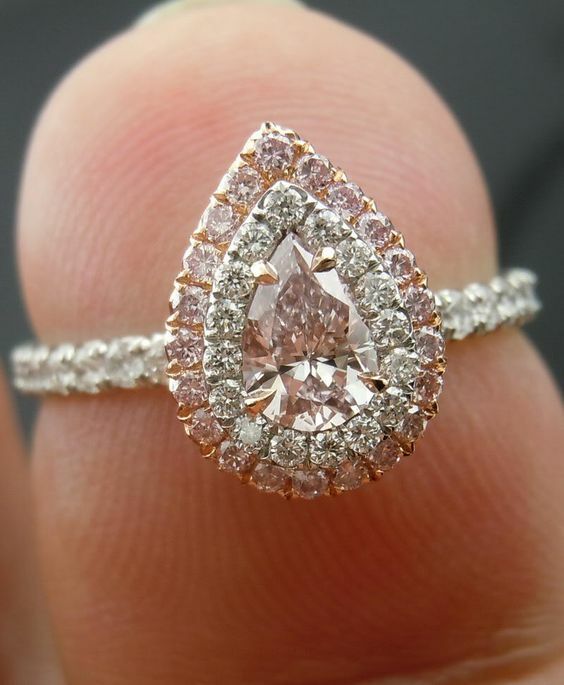 Light pink diamond pear shaped engagement ring with double halo. Even though the traditional engagement ring carries a diamond, mossianite, sapphires, and other precious gemstones are really in fashion. Gorgeous sapphire engagement rings. Simple engagement rings are back in fashion because a massive, impressive engagement ring isn’t for everyone. A cool photoshoot for an original engagement ring.